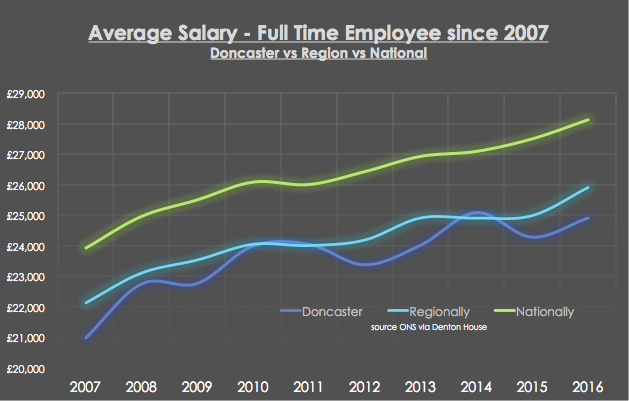 Salaries in Doncaster have risen by 18.74% since 2007 (although it’s been a bit of a rollercoaster ride to get there!) – interesting when you compare that with what has happened to salaries regionally (an increase of 17.08%) and nationally, an increase of 17.61%. All this is important, as the relationship between salaries and property values is the basis on how affordable property is to first (and second, third etc.) time buyers. It is also vitally relevant for Doncaster landlords as they need to be aware of this when making their buy-to-let plans for the future. If more Doncaster people are buying, then demand for Doncaster rental properties will drop (and vice versa). As I have discussed in a few articles in my blog recently, this issue of ‘property-affordability’ is a great bellwether to the future direction of the Doncaster property market. 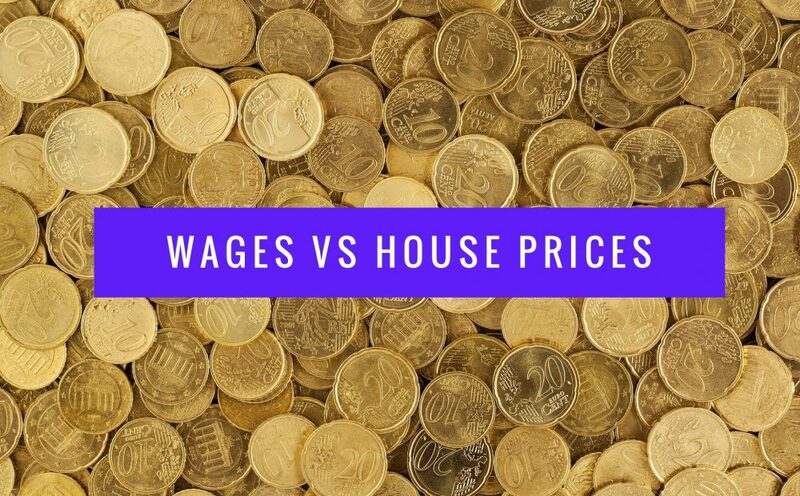 Now of course, it isn’t as simple as comparing salaries and property prices, as that measurement disregards issues such as low mortgage rates and the diminishing proportion of disposable income that is spent on mortgage repayments. The issue of a lack of homeownership has its roots in the 1980’s and 1990’s. It’s quite hard as a tenant to pay your rent and save money for a deposit at the same time, meaning for many Doncaster people, home ownership isn’t a realistic goal. Earlier in the year, the Tories released proposals to combat the country’s ‘broken’ housing market, setting out plans to make renting more affordable, while increasing the security of rental deals and threatening to bring tougher legal action to cases involving bad landlords. This is all great news for Doncaster tenants and decent law-abiding Doncaster landlords (and indirectly owner occupier homeowners). 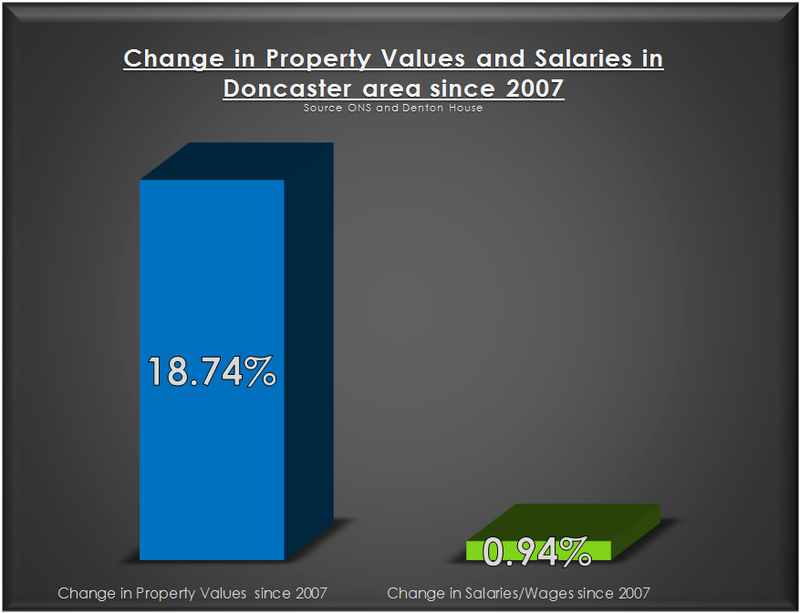 Whatever has happened to salaries or property prices in Doncaster in the last 10 (or 20) years … the demand for decent high-quality rental property keeps growing. If you want a chat about where the Doncaster property market is going – please read my other blog posts on http://www.doncasterpropertyblog.co.uk or drop me note via email, like many Doncaster landlords are doing.